Here we have a splendid Vintage Tigers Printable! 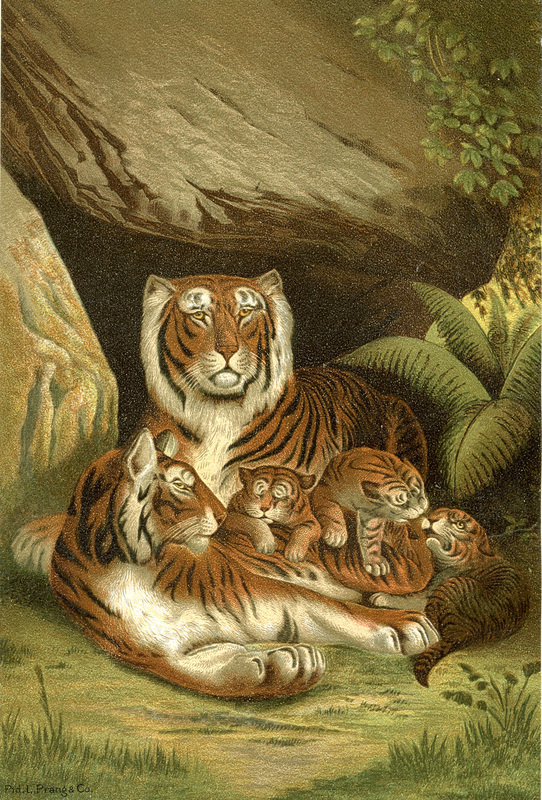 Shown on the Antique Print above, are a Mother and Father Tiger and 3 adorable Tiger cubs! Two of the babies look to be having a little spat, and the other one has fallen asleep right next to them! I’ve created a High Resolution File so that you can print this Natural History Print right up and frame it for some Instant Art! It would work great in a Child’s room with Jungle themed Decor! 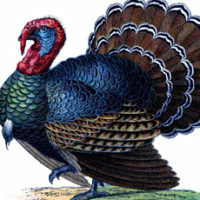 Vintage Graphic – Circus Giraffe 7 Thanksgiving Turkey Images! Vintage Astronomy Lion Image! 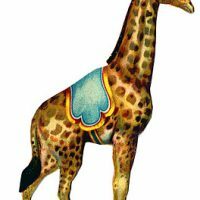 I love all your animal pics…especially the circus ones. I was thrilled to see these tigers. The same print is hanging inside the building at Disneyland Jungle Cruise and is a favorite. Thank you! Oh, that’s so cool! Thanks for letting me know Shirley! I love the supercilious eyebrows on the central tiger! He has the look of “You say we’ve met before? I really think not.” !!! Thank you so much for sharing these gems with us. Wow! Might give them the same treatment I gave the cows. Thanks you. I love how Kingly the dad is while mom is very very suspicious of something or everything and of course the kits are kids!